Fox Fence, Inc. uses only the highest quality fence post that you can’t find at your local lumber warehouse. We use Alaskan yellow cedar post and red cedar boards and back rails. Most jobs are completely assembled on site giving you a completely custom fence. Some styles require that each panel of your fence is build in our wood shop custom to the post spacing of your fence. 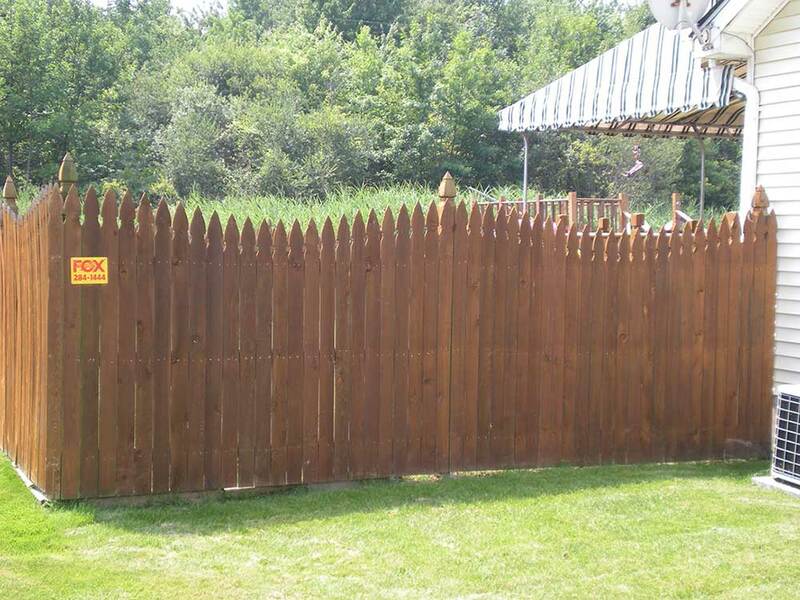 We offer the traditional fence styles such as French Gothic, Angel Gothic, Crown Royal, Dog Ear, Dog Ear Combination, Williamsburg, Board On Board, and Smooth Concave/Convex. We also have custom tops that only we can cut and provide using our special profile planer, these styles are Hampton, Victorian, Winslow, and Yorkshire. Wood fences provide an excellent visual barrier and to block out excessive noise depending on the style you choose. Wood fences will weather over time and become a soft silver gray tone if left untreated. See out Resources page for a link to our recommended stain TWP (Total Wood Preservative). Fox Fence, Inc. uses the highest quality materials and sets post in wet concrete to construct a Red Cedar Fence that is second to none.